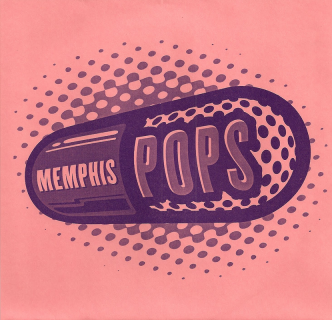 Memphis Pops 2008 Day One 7" e.p. 1) The Barbaras "Breathing Underwater"
2) Hi Electric "Handshake Ethics"
1) Two Way Radio "Runaway"
All 7" are on colored vinyl! Kewl beans, Kollectors! Memphis Pops 2008 Day Two 7" e.p. 1) Terry Manning "One After 909"
2) The Hombres "If This Ain't Love, Baby, It'll Have to Do Til I Get Some Sleep"
2) Roy Head "Bo Diddley"
Each of these 45s come on bitchin' colored vinyl. Collect them all & make a beautiful rainbow-colored rock 'n roll museum wall fit forGoldmine readers!